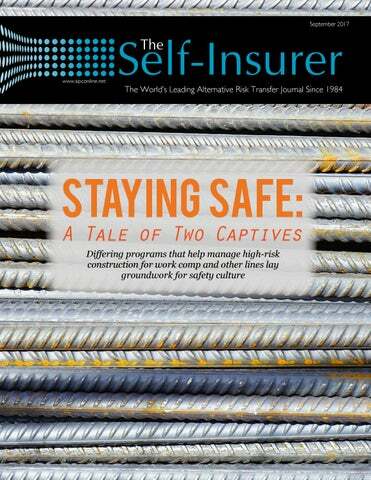 n the hardscrabble construction space, building a safety culture with the help of a group or single-parent individual captive insurance program is critical to managing self-insured workers’ compensation or even bolstering the bottom line. It also can tug at the heartstrings of burly workers in hard hats when explained in the simplest terms, while residual effects can include improved job satisfaction, morale, loyalty, performance, recruitment and retention. These results offer a competitive leg up in an industry that often struggles to find safety minded talent with staying power. An unflinching commitment to safety has paid off for the San Francisco-based general contractor, which builds anything from piers and parking lots to the city’s airport and low-income housing. It received the 2016 Excellence in Safety Award from the Construction Employers Association. The lines of communication are always open at Nibbi, which sends out a four-page monthly newsletter that features a safety section alongside company announcements. Company barbecues also are periodically held for various milestones being reached, as well as every quarter for the cleanest job. This allows employees and managers an opportunity to bond, as well as briefly address the importance of safety. In addition, there’s a program requiring new hires to wear a yellow hardhat for at least 60 days during which their commitment to safety, or any bad habits they had developed, is assessed. One or more superintendents will grade their performance and issue a white hardhat when they pass muster and feature their “graduation” photos in the employee newsletter. STAYING SAFE | FEATURE Although Weiss believes a group captive can be difficult at first to understand among small-business owners, he’s grateful for taking a leap of faith and knowing his broker wasn’t going to risk $1 million-plus worth of premium putting his firm in the program. “We have safety seminars and workshops, and share best practices with each other,” he says. “It gives us the collaborative efforts of a huge group of people with 39 safe companies.” Weiss hopes to “keep getting better people in the captive through our collaborative efforts. We’re all partners, so we have to have transparent dialogue on what our best practices are and learning from people in the captive group.” All 39 construction vendors meet offshore twice a year to share best practices with a basic philosophy in mind. “I’ve got to make sure I stay safe so I retain a competitive advantage,” he says. “If I get a little bit sloppy, I may not be in this group anymore.” While it’s tempting to share helpful safety benchmarks with like-minded employers, in some cases there are advantages to focusing all efforts internally. It made sense for Nibbi to pursue a single parent vs. group captive approach, according to T.J. Scherer, an account executive with Artex Risk Solutions, Inc., the captive manager for Nibbi, and a member of SIIA’s Captive Insurance Committee. “Nibbi had a couple large losses on work comp, but overall runs very low losses on all three lines of AL, GL and work comp and the market is responding to that by getting better rates,” he reports. At Scaffold Resource, the same thinking spills from construction sites to the road below. Truck drivers, for example, are given a morning safety checklist required by law. They also attend the same safety classes and monthly meetings alongside workers in the field. Gauging results A strong safety culture is credited for 1.4 million man hours having been logged by Scaffold Resource employees without a lost time recordable injury in the past five years, which the company describes in a promotional video as almost unheard of in the scaffolding industry. in an enviable position among the group captive’s top 20% performers. Weiss describes the middle 60% as “the ones they break even on, and the lower 20% are the ones that we fund.” After the overhead burden, Weiss says his firm individually and collectively shares in the group’s success. If money is available, he points to a 4% or 5% rate of return on premium. “We’ve paid out about 10% of our premium, so that puts significant money and equity in my pocket from taking advantage of risk savings,” he explains, noting how the accumulating interest income reduces risk costs substantially, now and in the future. “We’re not funding a commercial insurance company; we’re funding our businesses.” Fedick explains that Nibbi “used to carry on our balance sheet an accrual to cover any insurance deductibles.” The company’s captive absorbs deductibles and shields Nibbi Bros. Associates from any deductible denting its financial statements. There are larger strategic business considerations that are tied to deciding on a captive program. Many employers are struggling to lure and keep safety conscious employees across a number of industries, according to Duke Niedringhaus, SVP at J.W. 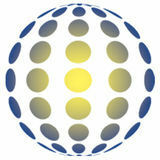 Terrill, a Marsh & McLennan Agency LLC company who serves on SIIA’s Board of Directors. As such, he sees movement toward “a holistic management of casualty exposures” driven by work comp that allows companies with a best-in-class safety culture to maximize their program results. Nibbi adopts a three-legged stool approach to hiring, whose job requirements include experience and education, a desire to do the work and fitting the company’s culture. New hires are also assigned a mentor with whom they discuss safety, while jobsite safety reviews are done every month. Nibbi’s mission statement starts with safety in the first paragraph. Multiple breaches of safety protocols can lead to an employee’s dismissal, though Fedick says all the intensive training of the past three years has largely prevented that from happening with Nibbi employees. The safety effort at Scaffold Resource includes a pre-employment and post-accident drug screenings. “Most of our people are from referrals, so they know that we have a safety culture,” Weiss reports, noting that they’re also paid at or above market wages to drawn top talent. “By showing them how safe you act, they know people care.” He says the significant amount of money Scaffold Resource spends to ensure its workforce stays safe is a good business practice that customers appreciate. “It’s a sales tool and revenue generator because people want safe teams on their sites,” Weiss adds. Bruce Shutan is a Los Angeles freelance writer who has closely covered the employee benefits industry for 28 years. n the wake of increasingly high-profile cyber security attacks, regulatory bodies are looking to inact compulsory comprehensive cybersecurity risk management programs to emphasize data security and streamline what happens after a cyber attack. Earlier this year, the New York Department of Financial Security (NYDFS) began requiring cybersecurity programs for financial companies, including banks and insurers. The National Association of Insurance Commissionersâ&#x20AC;&#x2122; (NAIC) Cybersecurity (EX) Working Group is currently working on a model law to help state insurance departments regulate this growing concern. data hostage—any type of cybercrime can have the potential to expose nonpublic information. By their very nature, insurance companies maintain a vast amount of private information for the individuals and companies they insure which makes them a significant target for a cyber security event. Concerned for the potential cyber exposures insurers face, state regulators and those in the industry are looking for ways to prevent and counteract any attacks. Appeals have even been made to the federal government to create uniform regulation for insurers and other financial institutions. In late July, the U.S. House Committee on Small Business met with business owners and insurance representatives about the lack of uptake of cyber liability insurance by smallto medium-sized companies. Insurance representatives took the opportunity to speak about standardizing cyber security regulation nationwide. While nearly every state has its own version of how data breaches are to be reported, this is burdensome to the industry. If regulatory processes were uniform it would help reduce insurance costs so small businesses could take better of the products available on the market. As required, each entity must have a specially designed cybersecurity program and cybersecurity policy that includes written policies that will protect “confidentiality, integrity, and availability” of the entity’s information systems. Entities must conduct periodic risk assessments of the company’s information systems to inform cybersecurity programs and policies as well as monitoring and testing of the cybersecurity program and maintaining an audit trail of at least five years. Financial entities will need to appoint a qualified Chief Information Security Officer to enforce cybersecurity policies and hire appropriate cybersecurity personnel. Companies must also limit accesses to nonpublic information and provide cybersecurity awareness training. Firms need to have controls to protect nonpublic information including encryption and multi-factor or risk-based authentication and must have policies and procedures for the secure disposal of certain nonpublic information. Companies need to have written policies and procedures in place that identify risks involving third party services providers, including cybersecurity practices that those providers must meet, as well as due diligence processes and periodic assessments in place. Finally, firms must have a written incident response plan that will allow them to promptly address any cybersecurity event both internally and externally as well as immediately notifying the NYDFS. The NYDFS was very clear that risk retention groups (RRGs) would not be subject to this regulation. RRGs, while operating across state jurisdictions, are by law only to be regulated by their state of domicile. While many RRGs operate in the state of New York, there are no RRGs domiciled there. NAIC Insurance Data Security Law In 2015, the NAIC formed Cybersecurity (EX) Working Group as a subgroup to the Executive (EX) Committee to monitor developments in the area of cybersecurity and insurance companies. Since that time the subcommittee has been working to create a model law to help guide state insurance regulators with cybersecurity concerns. The first draft of the Insurance Data Security Law was released in early 2016 and has been undergoing a drafting process since then. During the drafting process, in its sixth iteration at the beginning of August, parties outside NAIC members that have been active in commenting range from the American Bankers Association to Blue Cross Blue Shield Association to the National Association of Professional Insurance Agents. One of the most contentious points in the NAIC’s version is the language concerning “Oversight of Third-Party Service Provider Arrangements.” There has been much debate about the language describing third-party providers and their role in an insurer’s cybersecurity program. As cybersecurity threats continue to loom large uniform regulation of cybersecurity programs has become imperative—both to regulators and to the industry. Smith, in his comment letter on draft version 5, voiced concern over the third-party service provider section in regards the exemption for small businesses with ten or fewer employees—including independent contractors, “Small insurers often have fewer than ten employees but may retain a manager that is a large organization with thousands of employees, such as Marsh or Aon. We do not think it is the NAIC’s intent, nor do we think it would make any sense to count all of the manager’s employees for purposes of determining whether a small licensee qualifies for the exemption under Section 9.” He asked for further clarification on that point. The Insurance Data Security Law was approved by the Cybersecurity (EX) Working Group at the NAIC’s Summer Meeting in August. Now it will go before the Innovation and Technology (EX) Task Force for approval before being brought to the NAIC Executive (EX) Committee. Once approved by the Executive Committee it will need to be voted on by all NAIC members. From there it will go to the states for individual adoption, so nationwide uniform regulation is still several years away. NEVADA SIIA political action volunteers prepared to appear at the Nevada Department of Insurance (DOI) in Carson City to contribute to the state’s proposed stop-loss insurance regulations whose first draft provided significant potential challenges to self-insuring employers. When SIIA requested a meeting to present its comments, it was invited to join the DOI’s informal working group comprised of members of the Nevada insurance industry, then expanded to include interested parties from beyond the Silver State. SIIA’s participation in the working group had not been scheduled by the time this issue was prepared. •	Increasing the minimum individual attachment point from $10K to $20K. •	Dropping the per-person aggregate. •	Requiring standard financial information to be disclosed in a small group stop-loss contract. •	Prohibiting lasering in small group contracts. •	Prohibiting stop-loss contracts to groups with 15 or fewer eligible employees. “Obviously, we are pressing to make sure that SIIA’s positions are considered, and that these regulations provide the best options for Nevada employers of all sizes,” Brackemyre said. Government Relations Committee Chairman Thompson has a long history with such issues on both national and state levels. “We’re most effective when we provide an educational experience in a cooperative and consultative manner,” he said. “So we’ll be conciliatory in Nevada’s process and look for ways to serve their mission of protecting the state’s insurance consumers. “There are elements of the proposed regulations that we could live with and also some that provide considerable concern on our part,” Thompson said. “First, we don’t believe it’s a good idea to ban the benefits of stop-loss insurance for groups of 15 or fewer employees. In many instances, very small groups are well-served by stop-loss. Rather than the government arbitrarily setting a limit, they could let the economics of a group’s needs be in control. “Second, the matter of disclosure in this context is troubling because it seems to indicate that Nevada would be confusing stop-loss insurance with health insurance,” Thompson said. He points out that the U.S. House of Representatives has drawn the line between the two by passing the SIIA-backed Self-Insurance Protection Act (SIPA) that specifically sets stop-loss apart as it covers losses by a self-insurance plan but does not pay specific health care claims to any individuals. SIIA continues to seek introduction of a companion bill in the U.S. Senate. question is, who is best positioned to provide that? The Department’s initial draft regulation demonstrates a lack of understanding about how self-funding with stop-loss truly benefits employers of all sizes. “That’s why it’s important for us to stay involved, especially for the educational benefit we can provide. The more light we can shine on the subject, the clearer the benefits of stop-loss insurance to Nevada employers will be,” she added. As SIIA’s delegation waits for the green light to visit the Nevada DOI in Carson City, they continue to expand their intelligence on the state’s stop-loss market. You’re the expert on your business. But we can help you leverage the wealth of information out there. Every business has its own strategic goals, and our expertise will help you achieve yours. When you want to incorporate data into your business strategy, we’re your partner in determining which information will best serve your unique needs. Starting with your key objectives, we’ll work with you to sort through the wealth of available intelligence and mine the data to reveal the most relevant insights. With more data accessible than ever before, there is greater risk of information overload and potential to miss valuable indicators. Trust Pinnacle’s expertise to guide you through the data evaluation process and help you make better business decisions. Communication is Key to Successful Collateral Negotiations Collateral negotiations can often be contentious, and opinions on how much is required can significantly differ. An objective discussion between each party’s actuaries can lead to valuable middle ground. actuarial studies with differing results. While the parties involved may understand the basics, they may not recognize some key differences in assumptions or where one actuarial study may be stronger than the other. Dialogue between actuaries can be the quickest, most efficient way to highlight the differences between collateral estimates. Sharing exhibits supporting the self-insured actuary’s analysis and diagnostics, as well as discussion of methodologies, differences in data, key assumptions and operations can be invaluable. Conclusion Due to its impact on a self-insured’s profitability and borrowing capacity, the amount of collateral required can lead to tough negotiations. At Pinnacle, we work with our clients, regulators and auditors to ensure our reports are clear and well supported. The selfinsured’s actuary must provide enough information to enable the carrier to best understand IBNR potential. Though no one usually “wins” a collateral negotiation, a self-insured can make a much stronger case to the carrier with the right amount of involvement from its own actuary. Derek Freihaut is a Principal and Consulting Actuary with Pinnacle Actuarial Resources, Inc. in the Bloomington, Illinois office. He has over 10 years of actuarial experience in the property/casualty insurance industry, with considerable experience in assignments involving loss reserving, funding studies, loss cost projections, captive feasibility studies, risk transfer analyses and personal and commercial lines ratemaking. Avoiding Common Practices That Violate The Mental Health Parity And Addiction Equity Act 1 The Paul Wellstone and Pete Dominici Mental Health Parity and Addiction Equity Act of 2008 (“MHPAEA”)2 is designed to require true benefit parity between medical benefits for physical conditions and mental health and substance abuse benefits. If a plan provides medical/surgical benefits and mental health or substance abuse benefits, the plan must provide parity with respect to (i) financial requirements (e.g., deductibles, copayments, coinsurance and out-of-pocket maximums), (ii) quantitative treatment limitations (e.g., number of visits or treatments or days of coverage) and (iii) nonquantitative treatment limitations (“NQTLs”)(e.g., medical management standards). Before diving into the prohibited terms and practices, let’s take a minute to review what aspects of a plan’s design and/or administration constitute NQTLs. The regulations provide the following non-exhaustive illustrative list of NQTLs that should be analyzed. •	Services provided by clinical social workers. Now that we know what to look at, let’s see what we should look for. Here is a list of plan terms and operations/procedural practices that have been identified by DOL as being impermissible NQTLs. Of course, this is not an exhaustive list. Issues with Plan Terms •	A plan applies the same prior approval requirement and evidentiary criteria to medical/ surgical (“Med/Surg”) benefits and mental health/substance use disorder (“MH/SUD”) benefits, but the penalty for not obtaining prior approval differs. For MH/SUD claims without prior approval, no benefits are paid. For Med/Surg claims there is a 25% reduction in the benefits the plan would otherwise pay. Since the penalties for failing to obtain prior approval are greater for MH/SUD benefits than they are for Med/Surg benefits, the plan violates MHPAEA. •	An employee must exhaust his/her EAP counselling sessions before accessing MH/SUD benefits, while there is no similar requirement for Med/Surg benefits. Since the EAP exhaustion requirements only apply MH/SUD benefits, the provision violates MHPAEA. •	The plan automatically excludes coverage for inpatient substance use disorder treatment in any setting outside of a hospital (such as a freestanding or residential treatment center). For inpatient treatment outside of a hospital for other conditions, including Med/Surg benefits and MH/SUD benefits other than substance use disorder, the plan will provide coverage if the prescribing physician obtains authorization from the plan that the inpatient treatment is medically appropriate for the individual, based on clinically appropriate standards of care. The plan violates MHPAEA because of the differing treatment of substance use disorders as to residential treatment centers. •	A plan excludes coverage for inpatient, out-of-network treatment of chemical dependency when obtained outside of the State where the policy is written. There is no similar exclusion for inpatient/out-of-network Med/Surg coverage. The plan violates MHPAEA because of the geographic limitations on treatment for chemical dependency but not on other benefits. •	A plan requires prior authorization for all outpatient MH/SUD services after the ninth visit and will only approve up to five additional visits per authorization. With respect to outpatient Med/ Surg benefits, the plan allows an initial visit without prior authorization. After the initial visit, the plan pre-approves benefits based on the individual treatment plan recommended by the attending provider based on that individual’s specific medical condition. There is no explicit, predetermined cap on the amount of additional visits approved per authorization. While the plan is more generous with respect to the number of visits initially provided without preauthorization, the plan still violates MHPAEA because of the cap of five additional visits for MH/SUD benefits with no cap on Med/Surg benefits. •	A plan excludes treatment of chronic behavior disorders (any condition lasting more than six months) but does not impose any limits on chronic Med/Surg benefits. •	A plan requires participants to obtain prior authorization for substance use disorder treatment and non-emergency admissions to MH/SUD treatment facilities while not requiring pre-authorization for Med/Surg benefits. •	A plan excludes coverage for residential level of treatment for substance use disorders in a substance use disorder treatment center but provides benefits for extended care expenses for Med/Surg benefits in similar settings such as a skilled nursing facility and hospice through home health care services. •	A plan imposes the following requirements for MH/SUD benefits with no comparable requirement for Med/Surg benefits: (1) a written treatment plan prescribed and supervised by a behavioral health provider, (2) follow-up treatment, and (3) a restriction that the written plan be for a condition that can favorably be changed (presumably with treatment). •	A plan will not cover “black box” warning drugs (i.e., certain prescriptions drugs labelled regarding serious or life-threatening reactions) for antidepressants but will cover black box warning drugs for other MH/ SUD conditions as well as Med/Surg conditions if the prescribing physician obtains authorization from the plan that the drug is medically appropriate for the individual, based on clinically appropriate standards of care. Even though black box warning drugs are provided for other MH/SUD conditions, the singling out of antidepressants for exclusion while black box warning drugs are available for all Med/Surg benefits violates MHPAEA. Conclusion Employers may be responsible for penalties under the MHPAEA, whether they sponsor self-funded or fully-insured plans. Accordingly, a careful review of plan terms and administrative practices should be undertaken to insure compliance. The examples in this article should provide a good starting point for that review, but these are only illustrative of the types of provisions that can be problematic. Employers will likely need to engage legal counsel and the planâ&#x20AC;&#x2122;s insurer/claims administrator to get a more thorough evaluation. References: 1 Steven Mindy, a senior associate in Alston & Birdâ&#x20AC;&#x2122;s Washington DC office assisted with this article. 2 The MHPAEA amended Section 712 of ERISA, Section 2705 of the Public Health Services Act and Section 9812 of the Internal Revenue Code. 3 https://www.dol.gov/ebsa/mentalhealthparity/ (last visited August 4, 2017). 4 https://www.dol.gov/sites/default/files/ebsa/laws-and-regulations/laws/mental-health-parity/ warning-signs-plan-or-policy-nqtls-that-require-additional-analysis-to-determine-mhpaea-compliance.pdf; https://www.dol.gov/sites/default/files/ebsa/about-ebsa/our-activities/resource-center/publications/cagappa.pdf (last visited August 4, 2017). edical delivery options are evolving as fast as technology and innovation will allow, reaching people who typically have had trouble accessing medical care. Through telemedicine, telehealth and on-demand medical services, the workers’ compensation industry is finding ways to deliver medical care faster and more efficiently. The result is earlier interventions, better patient outcomes and lower costs for payers. “Access to care, speed of delivery, and starting the treatment sooner is something that can really expedite the return to work process and the whole outcome because [the injured worker] has had a positive experience,” said Dr. Teresa Bartlett, Senior Vice President of Medical Quality, at Sedgwick. “It results in high patient satisfaction, faster returns-to-work — all of those things that also lead to lower costs for employers.” In addition to providing access to medical care for injured workers in rural areas, these newer medical delivery options can also overcome language barriers and transportation issues. It additionally allows for multiple providers to be involved in a single session, something that can be especially helpful for providing biopsychosocial care. â&#x20AC;&#x153;The patient is challenges and outcomes, during the SIIA National Conference & Expo, Oct. 8 â&#x20AC;&#x201C; 10 at the being treated by both the JW Marriott Desert Ridge Resort & Spa in Phoenix. psychologist and the physical Telemedicine & Telehealth therapist in an intensive program where they are The idea of newer medical delivery options is to bring the best quality care to the patient as talking to each other and soon as possible, regardless of time or distance. In some cases that means using computer links to â&#x20AC;&#x2DC;bringâ&#x20AC;&#x2122; the provider to the patient. In others, it literally means bringing the provider to the patient. It is like an the patient â&#x20AC;&#x201D; at his home, workplace or other venue. And in still others, it can be a hybrid interdisciplinary program, but itâ&#x20AC;&#x2122;s done on a community of the two. ad hoc basis instead of an â&#x20AC;&#x153;We have a HIPAA compliant Web enabled video system, so the patient can use a computer, inpatient program outside tablet or smart phone and is able to talk and be seen by the provider,â&#x20AC;? Coupland said. â&#x20AC;&#x153;It of the injured workerâ&#x20AC;&#x2122;s home allows for face-to-face sessions, but not in person.â&#x20AC;? area.â&#x20AC;? Case Solutions. People are talking about Medical Stop Loss Group Captive solutions from Berkley Accident and Health. Our innovative EmCap® program can help employers with self-funded employee health plans to enjoy greater transparency, control, and stability. Let’s discuss how we can help your clients reach their goals. This example is illustrative only and not indicative of actual past or future results. Stop Loss is underwritten by Berkley Life and Health Insurance Company, a member company of W. R. Berkley Corporation and rated A+ (Superior) by A.M. Best, and involves the formation of a group captive insurance program that involves other employers and requires other legal entities. Berkley and its affiliates do not provide tax, legal, or regulatory advice concerning EmCap. You should seek appropriate tax, legal, regulatory, or other counsel regarding the EmCap program, including, but not limited to, counsel in the areas of ERISA, multiple employer welfare arrangements (MEWAs), taxation, and captives. EmCap is not available to all employers or in all states. Look no further. Everyone claims to keep sight of the customer. But do they really? We do. At Companion Life, you can count on teamwork with individual attention. That’s a real advantage. We anticipate trends, identify opportunities, but, most importantly – we listen to you. We brainstorm with our partners. Together, we create products and solutions or carve out new distribution channels to get an early foothold in the market. Looking to the future is a large part of our vision. We focus on relationships and listening. Together, we’ll go places. Call us. We’ll take the time to listen. stop loss limited benefit health plans short-term medical medicare supplement Rated A+ by A.M. Best Company. Rating as of Dec. 21, 2016. For the latest rating, visit ambest.com. Sanchez’ company uses an ‘on-demand’ model, where the physical therapist treats the patient at his workplace or home. Keeping injured workers at the job site reduces time spent going to and from PT clinics; but it also aids in the injured worker’s healing process. The Future Employers using mobile medical delivery models are often finding a cost advantage. “We work with clients to develop a rate that is comparable to providing therapy at a clinic,” Sanchez said. “It typically does not go above the fee schedule.” The time and convenience factors make telemedicine and telehealth financially more viable for some companies. “It’s often cheaper for telemedicine,” Coupland said. “That’s one of the things about telemedicine, you can bring it to a larger population and at decreased cost.” Those delivering medical care see a wide open future in terms of new models evolving. One idea, for example, would allow patients to connect with their providers online for follow up visits, rather than having to go to an office and wait. “I anticipate a lot of use for those rechecks to take the frustration factor out,” Bartlett said. “Imagine if you could just connect through telemedicine how much more satisfied you would be with the experience.” Bartlett also envisions the use of fitbit-type tracking devices among injured workers so a nurse monitoring the patient could determine if the patient was complying with medical treatment goals. Another possibility is to use wearable technology to make sure workers are using proper physical force and avoiding injuries. “The sky’s the limit in terms of what we would be able to have early notice of and alerts to prevent injuries,” Bartlett said. ere’s the good news about cancer, according to 2017 statistics from the American Cancer Society: nearly 15.5 million people diagnosed with cancer are surviving their illness, and about 53 percent of them are under the age of 70. As an employer, that means you will likely be paying the cancer-related health care costs for many more years than employers in the past, when the employee population tended to retire at age 62 or 65 rather than 67 or 70, or beyond. Employers need to pay attention to these costs. Consider this: for every 100 employees in the workforce, 5 percent will have a history of cancer and 27.1 percent of those employees will be in treatment for cancer. A 2015 initiative of the Northeast Business Group on Health (NEBGH) notes that “employers report a level of complexity in managing employees’ cancer-related needs beyond that associated with any other type of disease or condition” due, in large part, to the related costs. Cancer treatment alone accounts for 12 percent of employers’ total medical costs in the United States, with $125 billion spent on direct medical costs. And keep in mind that another $139 billion are associated with diminished productivity and lost work time, either for cancer treatment or for caring for someone with cancer. Employees who are also caregivers account for nearly 75 percent of early departures and late arrivals at the workplace, often engaged in long telephone calls at work to handle caregiving issues. And caregivers often suffer stress-related illnesses, further reducing their productivity. We asked the same question at Johns Hopkins in February 2012. I and my colleague at the Sidney Kimmel Comprehensive Cancer Center at Johns Hopkins, Terry Langbaum, informed our leadership that while we were among the nation’s most highly regarded cancer centers for diagnosis and treatment, we were not doing a particularly good job of supporting our own employees who had cancer or who were providing care for a loved one with cancer and still wanted to work. And we identified a gap in supporting supervisors who needed to understand the often complex issues related to managing these employees and their colleagues. The incidence of cancer is going up. As of 2017, 1 in 2 men and 1 in 3 women will be diagnosed with a life-threatening form of cancer in their lifetime. And although cancer deaths have risen to more than 600,000 annually, by 2024, it is expected there will be more than 20 million cancer survivors. So, here’s the question: What can you do to support your employees, both before and after a cancer diagnosis, keep your company running efficiently, and manage the related health care costs? An overwhelming majority of employees who have received a cancer diagnosis— particularly those with breast cancer—either want to or need to keep working through treatment. Many people strongly identify with the work they do and the company they do it for. Among the roughly 40 percent of cancer survivors who are age 25 to 64, there’s often a feeling of loss of that identity as well a loss of a satisfaction with life and connectivity with friends who are work colleagues. These and other concerns can and do impact a cancer patient’s productivity and very ability to work. •	We learned that many employees do not know which websites and other resources provide credible information about risk factors, symptoms of specific cancers, and treatment options. So they end up wasting a lot of precious time trying to make sense of their condition and their options from often misinformed providers. The program is now called Managing Cancer at Work. Collaborating with our health literacy and patient education colleagues, we developed a comprehensive web-based platform with resources for employees at risk, newly diagnosed, surviving after treatment, and serving as a caregiver to a loved one. Employers also can choose to provide their workforce with a specially trained Johns Hopkins certified oncology nurse navigator, who is a patient advocate and resource, providing employees and managers with 24/7 telephonic, email, text support. •	We learned that managers are not as familiar as they need to be with the American with Disabilities Act (ADA), so they don’t inadvertently (or intentionally) fail to accommodate an employee with cancer. There have been situations across the country where employees have won high-dollar law suits because a supervisor eliminated the employee’s job or even fired the employee for not performing up to par while undergoing cancer treatment. Lack of managerial training can be an expensive incident for the company to have to bear, not to mention the company’s reputation. Managing Cancer at WorkTM With this information, we wanted to build an employee benefit program that addressed what we’d learned, would be totally separate from an employer’s HR office, and was not a referral mechanism to drive patients to Johns Hopkins. There are two important philosophies ingrained in Managing Cancer at Work. The first is to enable an employee to work while receiving their cancer treatment, if they so choose. This approach is based on one of my long-held mantras: Only give cancer the time it needs to get rid of it. Don’t allow it to steal away any more of a your time, your family time, your social time, your personal time, or even your work time. It doesn’t deserve it. Working provides a sense of normalcy, and maintain normalcy during any crisis reduces stress. The second philosophical grounding is this: Survivorship must begin at the time of diagnosis. This means keeping the patient’s life goals preserved rather than forfeited to this disease and its treatment. The Johns Hopkins nurse navigator gives priority to working with the patient as her/his advocate so that these life goals are known to the treatment team. The treatment team in turn can then incorporate these life goals into the treatment planning process. Lillie Shockney is a University Distinguished Service Professor of Breast Cancer and a professor of surgery and oncology, at the Johns Hopkins University School of Medicine. She is the co-founder of the Johns Hopkins Medicine’s Managing Cancer at Work program. Aid-in-dying laws and the Implications for Self-Funded Plans By Maribel E. McLaughlin, Esq. D.C.’s New Death with Dignity Act The Death with Dignity Act went into effect on February 18, 2017 in Washington D.C., and last month, doctors were able to begin the process of prescribing life-ending drugs to terminally ill patients; adding the District to six states that currently authorize that practice. The D.C. Health Department launched a website where physicians can register to participate in the “Death with Dignity” program, where doctors, pharmacists, and patients can learn about the law’s requirements and patients and doctors can download required forms. Patients must be older than eighteen with a prognosis of less than six months to live in order to be eligible. Many fear that patients would be more likely to consider physician-assisted suicide as a better alternative with the added bonus of saving their family money and the burden of prolonged, expensive care. Insurance companies may try to exclude life-saving or life-extending drugs and pressure people into thinking about the practice of physician assisted suicide. When Mr. Collins died, his widow, Jennifer Mullen Collins, applied for benefits under both policies. Unum granted benefits under the basic policy, but denied benefits under the supplemental policy’s suicide exclusion.16 In addition, the Court held that it found “substantial evidence in the administrative record to support Unum’s conclusion that the suicide exclusion applied.”17 As such, a health plan may be able to exclude the practice and not be held accountable for claims under the physician assisted suicide. Self-Insurance Institute of America’s (SIIA) upcoming National Conference & Expo is scheduled for October 8th-10th at the JW Marriott Desert Ridge Resort in Phoenix, AZ. This is the world’s largest event focused exclusively on the self-insurance/ alternative risk transfer marketplace and typically attracts more than 1,700 attendees from around the United States, and from a growing number of countries around the world. The National Conference & Expo will feature more than 40 educational sessions focusing on self-insured group health plans, captive insurance, self-insured workers’ compensation programs and international self-insurance/ART trends. Industry with Vincent Esposito, Chief Operating Officer, Endeavor Plus, Inc. Focusing Payment Integrity Controls on Waste and Abuse with Michael Taylor, M.D., President, Medical Audit & Review Solutions and Christopher Dorn, Vice President, Payment Integrity, MultiPlan, Inc.
Dialing it In – How Telemedicine is Connecting With Self-Insured Health Plans with Brian Connelly, Director of Product Development, Gilsbar, LLC and Steve Suter, President & CEO, Healthcare Management Administrators, Inc.
International Sessions Include: What Are The Hottest ‘Value Added’ Services and Applications That Help Enable Successful Self-Insurance Solutions in the International Arena Greg Arms of WorldCare and MSH will moderate panelists Tom Shjerven, Chestnut Global Partners, Tina Karas, WorldCare International and Chris Burns, Vida Health SIIA International Conferences Update with Bob Repke, Passport For Health, other speakers to be announced. Many senior industry executives representing TPAs, employers, stop-loss carriers, captive managers, brokers and other key players in the self-insurance marketplace have already registered, making this a truly must-attend event. Detailed conference information, including registration and sponsorship opportunity forms, can be accessed on-line at www.siia. org/national, or by calling 800/851-7789. We look forward to seeing you in Phoenix in October! As a reminder, the always popular end of conference party will be held on the evening of October 10th, and will be a great way to cap off your conference experience and fit in one last round of networking, so you are encouraged to make your travel plans accordingly! for HealthSCOPE Benefits. We continue to see first-hand how SIIA’s ongoing industry protection and promotion work provides real value for TPAs, so upgrading to Diamond membership makes sense.” This continued growth in the number of SIIA Diamond members reflects recognition by leading-industry companies of the importance to provide robust support to the trade association that is best positioned to protect and promote their business interests. This support has enabled SIIA to further expand its government relations staffing, media outreach efforts and legal defense capabilities, as well to fund various other industry promotion initiatives. About HealthSCOPE Benefits HealthSCOPE Benefits is a full service claims administration and health management firm providing administrative and other support services to self-funded employers. As the fourth largest Third Party Administrator (TPA) in the country (and the largest independent TPA operating without ownership of an insurance carrier), HealthSCOPE Benefits goes beyond the offerings of a traditional administrator. Headquartered in Little Rock, AR, HealthSCOPE Benefits administers benefits in all 50 states for more than 300 clients and more than 500,000 members. The company’s 600 employees support clients in the management of greater than 1.6 billion in annual healthcare expenditures. Visit www.healthscopebenefits.com. HealthSmart, the largest independent benefits administrator in the country, is pleased to announce the appointment of Peter D. Beerman as Vice President of Sales. Beerman has a proven track record of significantly increasing revenues, retaining clients and successfully launching products. Beerman will report to Tom Mafale, HealthSmart’s Chief Sales Officer. Beerman will be responsible for developing new business opportunities and creating customized solutions to meet client needs. He has more than 30 years of experience in plan-sponsored self-insurance, network leasing and change management. Beerman served as Vice President Sales, Labor and Trust, UnitedHealthcare, where he established UnitedHealthcare as a new vendor in the labor and trust market. While there, he also introduced new products for select third party administrators and self-insured plans. Beerman received the Top Sales Achievement Award in 2014 and the Altus Award in 2014 and 2015. About HealthSmart HealthSmart’s integrated approach makes a positive impact on your bottom line by supporting and empowering members to attain optimal health. We work closely with our clients and business partners to achieve better treatment outcomes at the lowest possible cost. Our URAC-accredited care management portfolio serves the entire member population: healthy individuals who need to stay that way, those at risk who need to improve their health, and those who need assistance managing chronic conditions. Our innovative strategies bring balance back to healthcare plans. Visit www. healthsmart.com. Pareto Captive Services, LLC (“Pareto Captive”) continues to grow and is seeking to add to its team of sales professionals. If you’re a competitive self-starter that is looking for a “no-cap” compensation plan, you excel at developing strategic relationships, thrive in a fast paced, results oriented work environment with minimal administrative responsibilities, please keep reading. Job Title Regional Vice President of Sales Summary Pareto Captive’s sales team is responsible for calling on consultants, explaining our product and its value proposition, analyzing submissions, and presenting quotes to consultants and employers. The position requires extensive out of town travel, including proposal presentations, seminars, and board meetings. Location Pareto Captive is located in Philadelphia and has business spread throughout the country. While we have a slight preference to locate new team members in Philadelphia, we are open to other locations too, as the individual may be able to work out of his/her house. Outside of Philadelphia, areas of particular interest to us include (but are not limited to) Seattle, Denver, Phoenix, Chicago, Texas, California, Florida and the Carolinas. Interested individuals should submit a cover letter and resume (or a cover letter and a link to a LinkedIn page) to careers@paretocaptive.com. All communication will be confidential. About Pareto Captive Pareto Captive is the nation’s largest manager of member-owned benefit captives. Nearly 400 employers with approximately 45,000 enrolled employees use five different Pareto captive programs to reduce both the cost and volatility of employee benefits. Visit www.paretocaptive. com. Gold Members ELMC Risk Solutions Announces Staci O’Toole as President of ELMC Underwriters, Western Region ELMC Risk Solutions, LLC, a manager of premier, full-service managing general underwriters specializing in underwriting medical stop-loss insurance is pleased to announce that industry veteran, Staci O’Toole, has joined ELMC as President of ELMC Underwriters (ELMCU), Western Region. In her new role, Staci will lead ELMCU’s sales efforts in the Western region expanding the company’s national presence. Ms. O’Toole brings 25 years of experience in sales leadership, marketing, and underwriting, particularly in the West Coast market. She has a consistent record of creating profitable business in the self-funded market. In her previous engagement, she managed four regional sales offices accounting for more $90 million dollars in annual premium. Richard Fleder, ELMC’s founder and CEO said “We are quite fortunate and enthusiastic about bringing someone with Staci’s expertise and record of success in the medical stop loss market into the company.” This appointment is consistent with ELMC’s recent expansion efforts which have brought together Midwest Risk Underwriters, IOA Re, RxReins and Adler Rx Consulting, under the ELMC Risk Solutions banner. About Staci O’Toole Staci O’Toole is the President, Western Region of ELMC Underwriters. She brings more than 25 years of experience in the Self Insurance industry with a focus in sales, marketing, underwriting and management to this role. Prior to joining ELMC Underwriters, Staci served as Vice President of Sales for Houston International Insurance Group (HIIG). Staci joined HIIG as part of the Elite Underwriting Services (Elite) acquisition. While at Elite, she was a leader in driving the company’s growth. Prior to her tenure at HIIG, Staci was a member of the R.E. Moulton team where she was responsible for developing the Western Region, which grew to become the company’s largest block of profitable stop loss business. At Moulton she managed four sales offices generating more than $90 Million in annual premium and developed their Preferred Carrier Status with National Producers. Prior to joining R.E. Moulton, Staci was Regional Manager for the Hartford’s Stop Loss division where she created a new distribution channel that focused on TPAs in the Western United States. Staci started her stop loss career with SAFECO as the Regional Manager for the Pacific Southwest Region. She led the sales and field underwriting offices for Group Life, LTD and Excess Loss. Before moving to California, Staci was a broker for a regional P&C firm in Boston. She holds a Bachelor’s of Science in Education-Math & Science from Ohio State. About ELMC ELMC owns, manages and seeks to acquire premier MGUs across the nation that specialize in underwriting medical stop-loss insurance for self-funded health plans. ELMC provides a best-inclass platform for delivering medical stop-loss solutions to brokers, carriers and clients. Contact Mary Ann Carlisle at mcarlisle@elmcgroup.com, 484-433-1412, and visit www.elmcgroup.com. Job Title: Indigo National stop-loss Sales Executive Summary As an Indigo stop-loss Sales Executive, you’ll have the support of one of the nation’s leading insurance companies and the flexibility and growth potential of running your own business.You’ll solve clients’ needs through consultative and solution based selling, by building relationships with contacts in your territory to identify, develop and close sales opportunities. Responsibilities •	Sell Indigo Insurance Services Medical stop-loss product through insurance brokers, third party administrators and consultants. •	Build and establish relationships with key sources to market our product to some of the nation’s leading employers. •	Construct and maintain a business plan for your designated territory based on sales and strategic initiatives. •	Call on existing and potential customers to not only prospect new customers but also to develop a book of business. •	Meet annual targets and individual sales goals. Develop internal relationships with underwriters and internal support partners who will assist you in creating specialized plans to meet your clients’ needs. Qualifications •	Bachelor’s Degree from a four-year college or university preferred. •	Previous experience selling the stoploss product required. •	Commitment to attaining state required Life and Health agent license. •	Proven relationships with underwriting and technical product expertise. •	Strong organizational skills. •	Strong networking and relationship management skills. A passion to succeed and challenge yourself while building a book of business A winning attitude and interested in a career that offers independence, professional growth, and high income potential. The successful candidate is driven, selfmotivated, consultative and a great problem solver. Interested candidates should send resume to Kim Grace at Grace.Kim@bcbsma.com. About Indigo Indigo is a full-service insurance agency that offers an extensive suite of specialty insurance products including stop-loss, life, disability, vision, travel, accident, critical illness, workers’ compensation, and more. We partner with market-leading insurance carriers that offer outstanding customer service, fast claim payments, and flexible benefits that set them apart from their competition. We only partner with A-rated carriers, and we’re a wholly-owned subsidiary of the largest commercial health insurer in Massachusetts--so we’ll be there when we’re needed the most. Visit www.indigoinsurance.com. Unbundled, duplicate and upcoded charges? We can help. EthiCare saves claim payors money. Period.